As a video content creator, there are a lot of things that could go wrong in the video-making process. From irrelevant scenes to black bars on the sides, there is always something to fix. And if you’re creating content for public consumption, you need your work to be top-notch and hence, fix the problems in your video. Now, you don’t need to worry too much about how to get that job done as technology has provided software to make the video editing process easier, faster and smoother for you. There are many crop video free tools you can use on your device, either Windows or Mac, to ensure that you produce good, high-quality videos. We have put together a list of the very best free video editor to crop in water scenes out of videos you produce. These video editors will assist you and are of great help as they give you many tools to work with for free. Free Crop Video is a great freeware to crop your videos online. With a simple to use and navigable interface, this software should be on your list when looking for a video cropper, especially one that you would find super helpful. To use, find and download the software and then install it. After you have installed it, launch the software and add your file, after which you can click on the crop button to edit out the parts of the video that you don’t need. 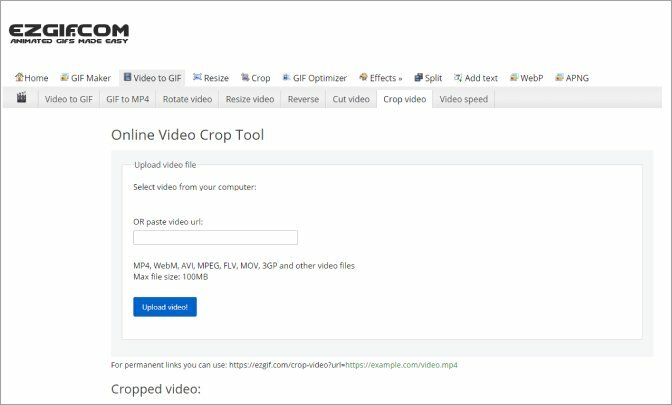 Free Crop Video supports many file formats including MKV, M4V, MGG, AVI and a host of others. It also allows you to crop out the letterbox from your video, after which you can preview it before saving it. It has a simple to use and easy to understand interface. It allows you to preview a video before saving it. You can only output video in two file formats. This is a very easy tool online to use to crop videos in very little time. To use this freeware, go to their site and then you can upload a video from your device or if the video you want to be edited is available online, you put in the URL for the video. Then you click on upload and the video becomes visible for you to edit to your choice. Ezgif comes with available presets so you can use them to set your video to whatever dimension you want it to be at and after you are done, you can then export your cropped video. Its interface is very easy to use and understand. It is very straightforward and takes less than five minutes to get your edited video ready. Maximum video file size to be uploaded is 100 MB. 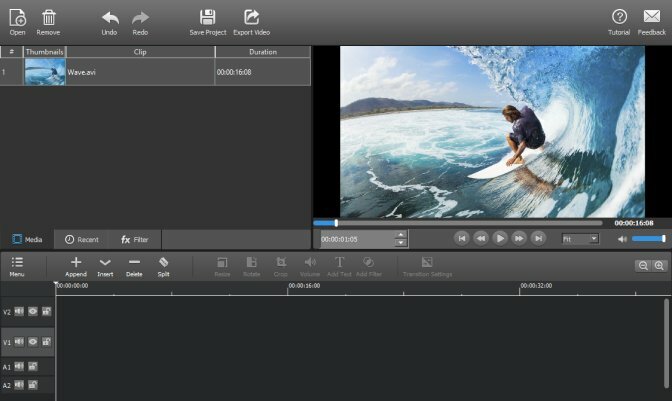 This is a software to crop video free on Mac and although it is free, it helps you to make professional videos and is great as it has many tools for video cropping. Edited videos can be saved without a watermark stamp and unlimited video and audio track can be added to imported clips. This freeware can manage various file formats and even allows you to copy and resize clips. To get this software, find it on Google then install the free version. After it has been installed, open it and import the video clip that you want to crop. Then you can further edit it with the features MovieMator has to offer, after which you can then preview what has been edited and save it before uploading it for your audience to see. There are no watermark stamps on cropped videos. It allows you to merge videos and add texts too. Exported length of cropped videos cannot exceed 5 minutes. If you are looking for an all in one package where you can crop, resize, trim, split or just do general editing on a video clip, then this is the perfect video cropping software for you. This video editor supports major video formats like AVI, MP4, MOV, 3GP and so many more. It allows you to resize videos by either trimming or cropping them. It has a Windows and Mac version to enable you to work on whatever device of your choice. To use, download the software and then launch the video resizer then click on the video button and import the video file that you want to resize. Next, enable the crop tool and resize your video to the parameters of your choice after which you can then save your file. Exported videos are delivered with high quality so that you get the best editing experience. It is compatible with many device forms. It has a simple interface to use. It doesn’t have a very fast conversion speed. This is another free video cropping software, and it has tools for various tasks like filtering, encoding or cutting. It supports files in multiple formats and gives you professional looking videos with the many features it boasts of. It also allows you to output your cropped and edited video in many formats like MP4, MPEG, AVI, MKV and a host of others. To use it, find the software and install it then choose the video you want to be cropped and load it to properly crop and edit. After you are done, save your video. You can also preview your work before saving to avoid uploading a video less than perfect. It supports many different file formats. It offers many useful features to aid video cropping and editing. Its interface is not very easy to navigate through. With all these free tools (and most likely more) for video cropping available online, you can be assured that the video editing process will be done smoothly and with little or no problems. 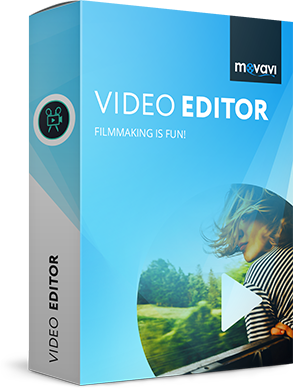 Another great editor tool to consider for cropping your videos is the Movavi Video Editor. Movavi is one of the best there is and has many tools and features for trimming and cropping videos to effectively suit the user’s taste. With an impressive interface, Movavi is easy to use and delivers professional videos after the editing process is done. So, your work is made easier for you with this software. Check online for any of the free video editors that you think is good for you, and start editing your videos. You may even try different video cropping software until you find the one you are comfortable working with, then you can settle for that one.